If you’re looking for amazing build quality and an affordable luxury saloon car, look at the range of used Volkswagen Passat models available at RAC Cars. A refined family solon car in nature, our Volkswagen Passats for sale attract attention from many people including families looking for something stylish and reliable as well as roomy and practical. The attention to detail on this model is magnificent and there are now a number of choices available in our wide selection. So, if you’re interested in a second-hand Volkswagen Passat, be sure to explore our range. 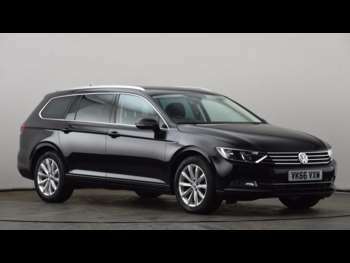 As with many saloon cars on the market at the moment, the Volkswagen Passat has everything you could ever need including air con, climate control, traction control loads of airbags, controls on the steering wheel and plenty of space. This means that bang for your buck is really good with this model when you compare prices to its rivals. For more options, you can explore the coupe and estate versions which are equally as desirable. The Volkswagen Passat is a brilliant drive because of their superior build quality and built-in comfort. The steering is positive and reactive, and the seating position is pretty perfect, making it an easy and comfortable car to drive. The handling is soft too, making the drive a real treat. Overall, it drives well looks fantastic and comes at a great price. Take a look at our collection of second-hand Volkswagen Passats today, to see what you can find.